Located on the second floor, two wrought iron Queen beds make sure you get a peaceful nights sleep. SoutEast facing windows allow plenty of natural light. Located on the second floor, a Queen and a Twin size Brass Bed await, this room also has a couch and chair for relaxing. A view of the Rogue Valley while you sleep. With large windows providing ample natural lighting, a queen size bed wrought iron bed promise a good nights rest. 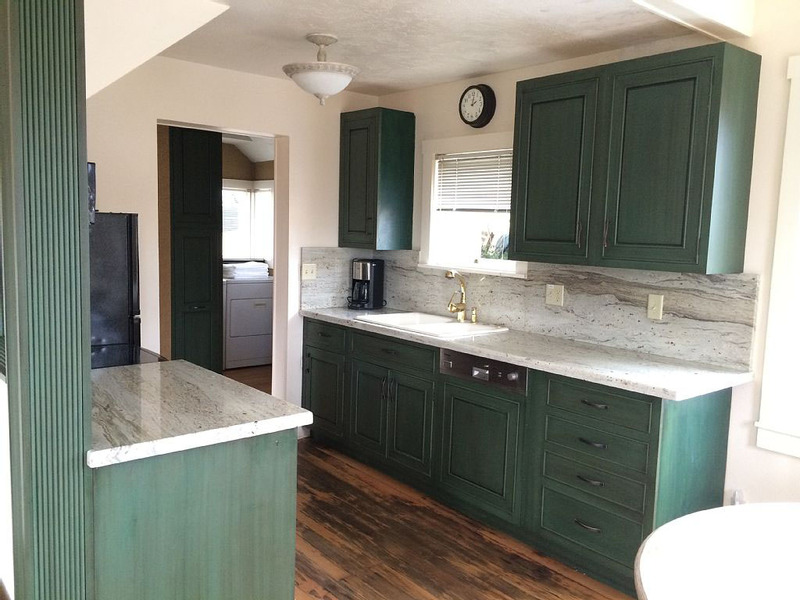 Recently remodeled, new cherrywood cabinets and beautiful granite counters await your culinary expertise! With room for 8 in the dining area you can serve up and enjoy a family meal - with the family! If you are not out exploring Ashland you can relax in the leather recliners and enjoy a good read!